Liz Clare, CCIM and Jacqueline Young of Avison Young represented both parties in the 64 month lease of 1,208 square feet at 3525 South Fort Apache Road, Suite 130 to Farmers Insurance. The landlord was Monteray Vista, LLC. This retail transaction was valued at $116,693.00. 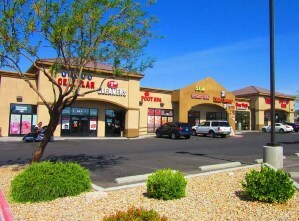 Liz Clare, CCIM and Jacqueline Young of Avison Young represented the landlord, Monterey Vista Village Shopping Center in the 1,120 SF 27 month lease to Vap O Rise at 3525 Fort Apache, Suite 105. The total value of the retail transaction was $42,650. Previous article23rd Annual Links for Life Charity Golf Tournament Raises Over $115,000 for Children’s Charities in Southern Nevada.